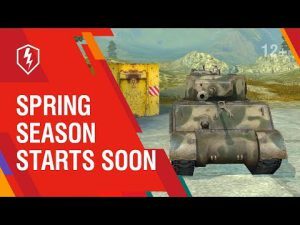 New details of World of Tanks Blitz [Private show] | WoT Blitz 5.9 - Fan Site! 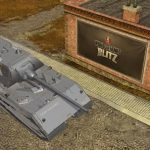 At the international exhibition TIBO 2013 Wargaming company lifted the veil a little bit of a new game World of Tanks Blitz, which is being developed for mobile devices running IOS-based and Android. 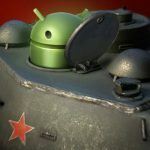 And if with the first system of problems while any doesn’t arise, with Android, according to the statement of developers, still there is a lot of work. Besides, the producer of this project declared that game isn’t yet even at an alpha dough stage, but looks already enough not badly. Also it made a reservation about the sizes and devices on which it is possible to play normally. For all tests a 7-inch tablet, so far, the most suitable for this game. 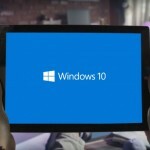 It is possible to play also and on 5-inch devices, but thus you will “feel” some discomfort. Well, for gadgets with screens 3.5 “, 4-inch developers will go to some simplification, because these devices play is not quite comfortable. 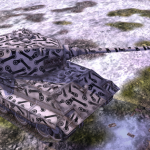 In addition, Dmitry Yudo said that World of Tanks Blitz – this is not a stripped-down copy of World of Tanks, but it is a separate project, which will be their chips. On the release date still early as founders have simply huge volume of work: to solve a problem with management, a sound, perfect engine, etc. Well, and into the Internet connection account, even 3G-connections will be enough that cannot please. 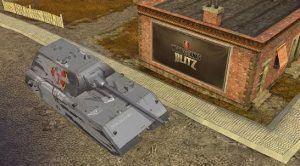 Recall that World of Tanks Blitz – a new project dedicated to Wargaming war machines of the 20th century. 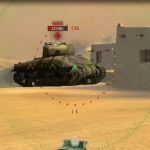 Game will work, both at smartphones, and on tablets under control of Android and IOS OS. The approximate weight of game — 1 Gb. 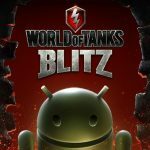 Release World of Tanks Blitz on Android will be held in 6 countries. Please work towards a kindle release as well…android apps not through kindle are sometimes difficult for kindle users to acquire And load.